Twitter announced a series of new features on the way, which are all designed around making content easier to find. The company wants to change how people discover information around breaking news, live events, and other topics they care about. In an effort to realize its vision, Twitter is enhancing the timeline, notifications, the ‘Explore’ section, and the ‘Moments’ section. Here’s a rundown of all the updates that are on the way. ‘Explore’ section: Twitter is experimenting with organizing this section by topic instead of content type. Topic tabs will be rolled out in the coming months. Search results: Twitter has added related news, events, and stories to the top of search results. This update is available now. ‘Happening Now’ section: In addition to updates about sports, this section will include tweets about breaking and personalized news. This update will be available in the coming months. 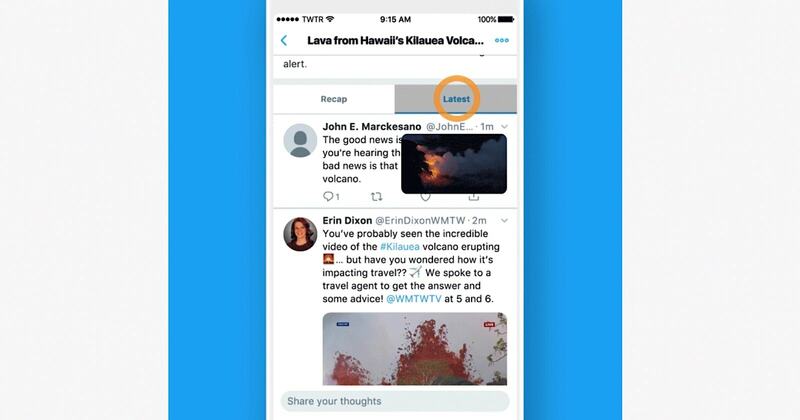 Notifications: In addition to breaking news notifications, Twitter will experiment with sending notifications related to personal interests based on the accounts a user follows and what the user tweets about. This will be available in the coming weeks. New Navigation: Rather than swiping horizontally to access ‘Moments,’ Twitter is introducing a new vertical timeline experience for Moments. More Tweets: Twitter is rolling out multiple timelines in some US Moments, including a recap of tweets a user may have missed, a timeline of latest tweets, and a timeline of top commentary. World Cup page: Twitter is rolling out a new page dedicated to the World Cup, as well as individual pages for every game.